Truckee’s Sammy Luebke rides to a second-place finish last weekend. Sammy Luebke launches off a feature at Kicking Horse. 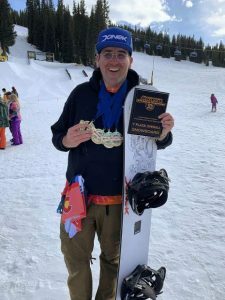 Truckee’s three-time defending Freeride World Champion, Sammy Luebke, returned to action this past weekend, competing at the second stop of the world tour at Kicking Horse Mountain Resort in British Columbia. Cold, light, dry snow greeted the riders and skiers in Canada for the competition, which was held on Kicking Horse’s iconic Ozone Face. 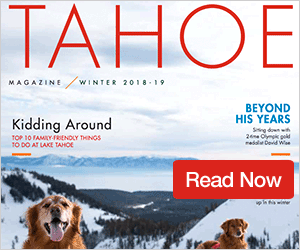 Luebke, 29, started off his snowboard run with a 360 before flying off a pair of rocks for massive airs and a score of 2,200 points to claim a second-place finish. “The snow was insane, the poutine was top notch, and (I) even managed to snag a podium with some of my fellow comrades,” posted Luebke to his Instagram page following the event. France’s Victor De Le Rue won the snowboard competition at Kicking Horse with a score of 2,500 points. 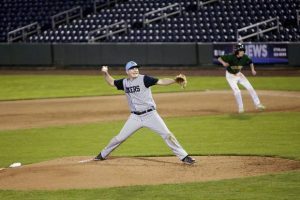 American Blake Hamm was third with 1,980 points. 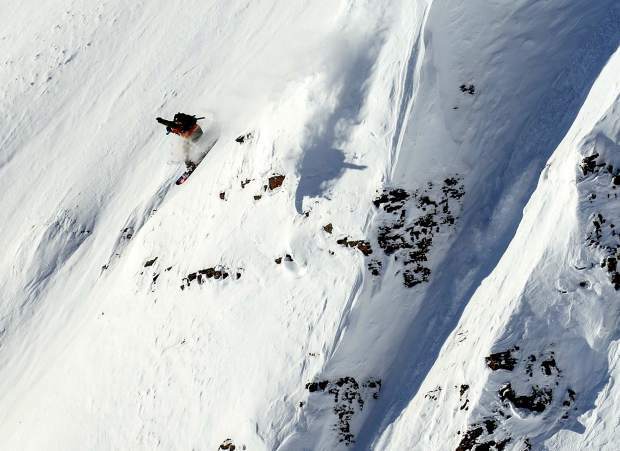 Freeriding is judged based on difficulty of line, control, fluidity, jumps, and technique, according to FreerideWorldTour.com. Fellow Truckee rider Jonathan Penfield, 31, finished fourth with 1,800 points. Penfield threw a backside 360 before putting a stamp on his run by catching huge air off a feature at the bottom. Also out of Truckee, Christopher Galvin, 31, finished ninth with 975 points. In skiing, Jaclyn Paaso, who competed out of Squaw as a youngster, finished in ninth in the women’s division with 975 points. Hazel Birnbaum, of Kirkwood, took third place with 1,980 points. Jacqueline Pollard, of Alta, Utah, took first with a score of 2,500 points. 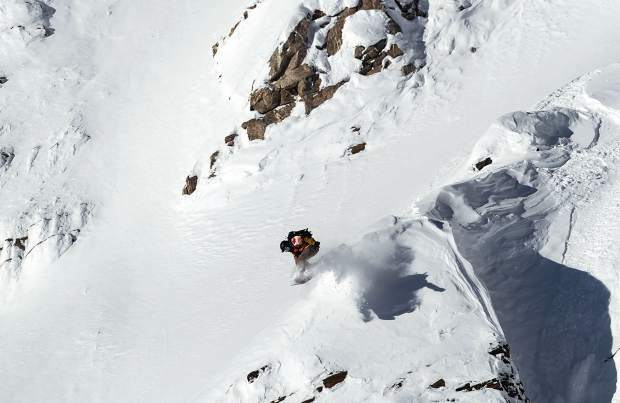 The Freeride World Tour will next head to Ordino Arcalis in Andorra on March 2-8. 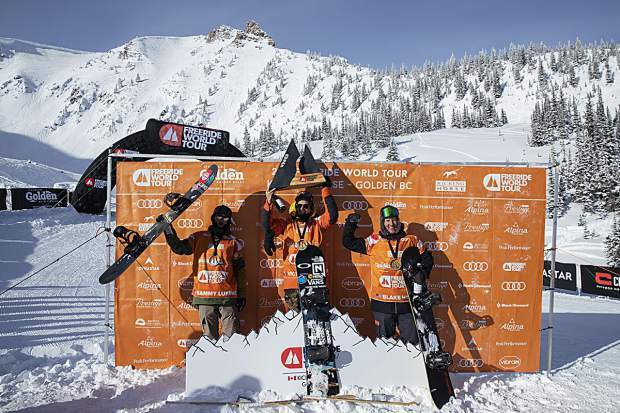 For full results and video replays, visit FreerideWorldTour.com.